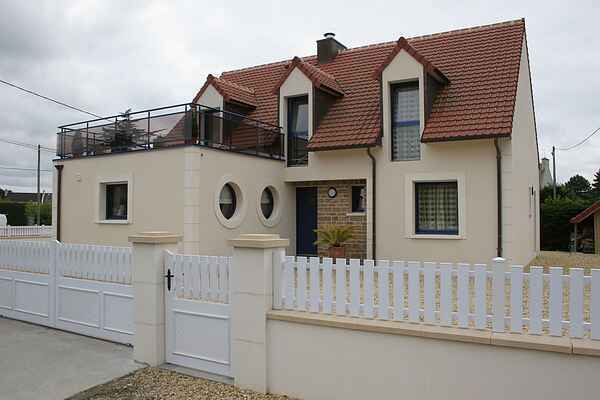 A beautiful, seaside villa, within walking distance of the beach (50 m). The house is tastefully furnished and equipped. The enclosed garden has a large terrace where you can barbecue all together. For your daily shopping you don't have to go far: at 1km you will find everything you need. Plounéour-Trez is a family resort on the coast, close to Brignogan. The charming old villas are in a strong contrast to the jagged rocks. Over a length of 5 km are ten beautiful sandy beaches. There is a wonderful climate here and the area has to offer all kinds of beach activities. Swimming, lazing in the sun, sea kayaking, sailing in Plounéour-Trez, but also mountain biking, mini golf, tennis or horseback riding. This is a real paradise for fishermen and also hikers can indulge in the wonderful nature. The local specialties will enjoy even the most approval demanding palates, from chic restaurants to small creperies.